This little box has a special place in my heart. 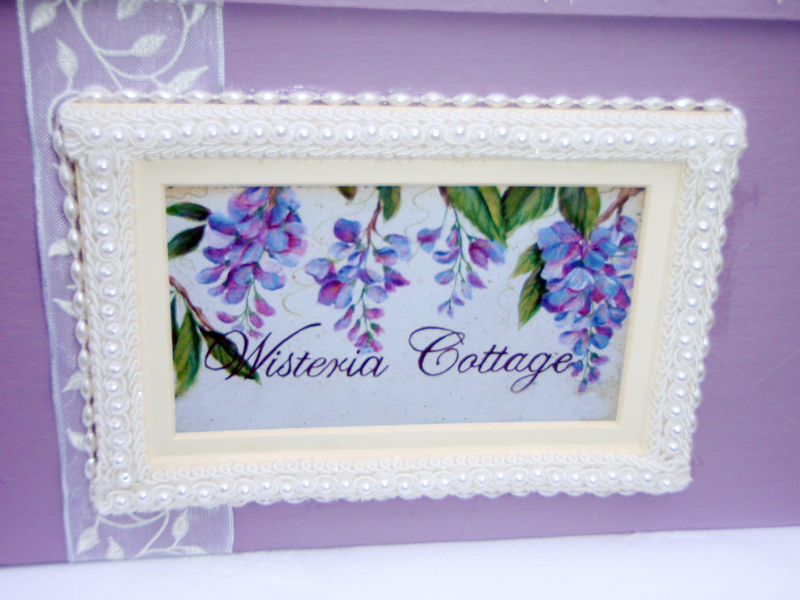 Wisteria Cottage is an imaginary place that I’ve written about in the past. This keepsake box was mentioned in one of those tender tales and I’m hoping to make more pieces from those stories over the coming months. Why Wisteria Cottage? The flowering wisteria vine is my favourite flowering plant and I have two growing over an archway in my garden. My stories are/were set around a fictional cottage, so when creating the box, I used my favourite flower/plant. 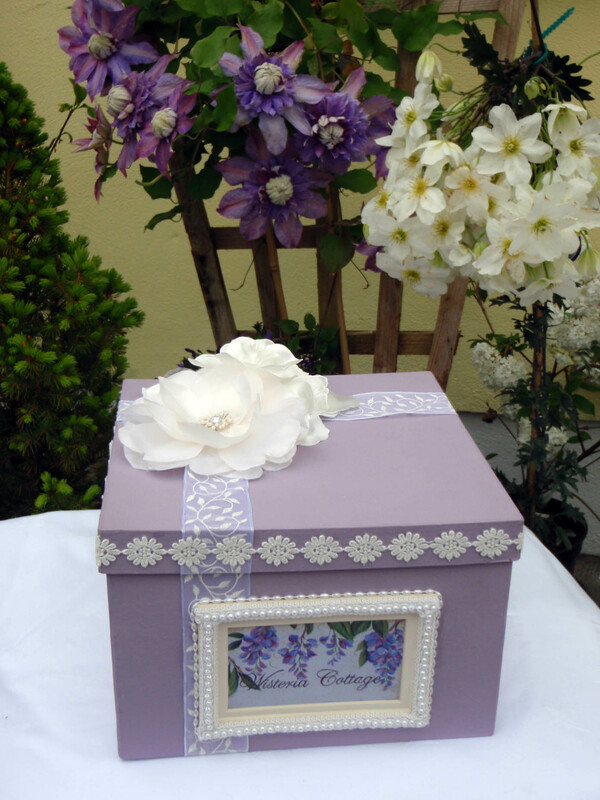 The box is my first attempt at decorating a paper mache box. I prefer the inside to the outside and would like to redo the lid in particular. 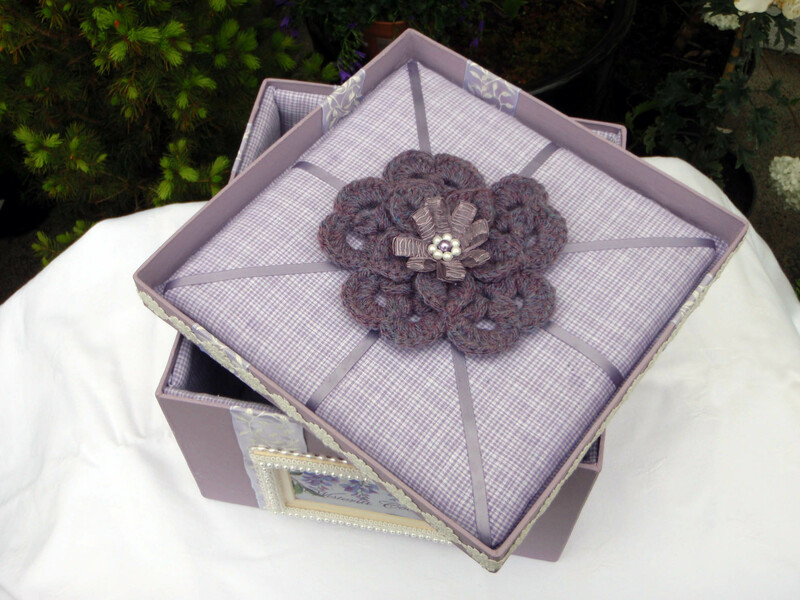 The purple crocheted flower on the inside of the lid is the first one I crocheted for a marriage blanket I’m making. This blanket also features in one of my stories. There’s a false bottom inside to place letters, cards and photo’s. I’ve drawn inspiration for my crafts from past words that I’ve written. Hopefully I’ll continue to draw on this source to create and develop my little crafts and curios. For anyone that’s interested, if you want a closer look at the detail, just click on the image and it should enlarge. 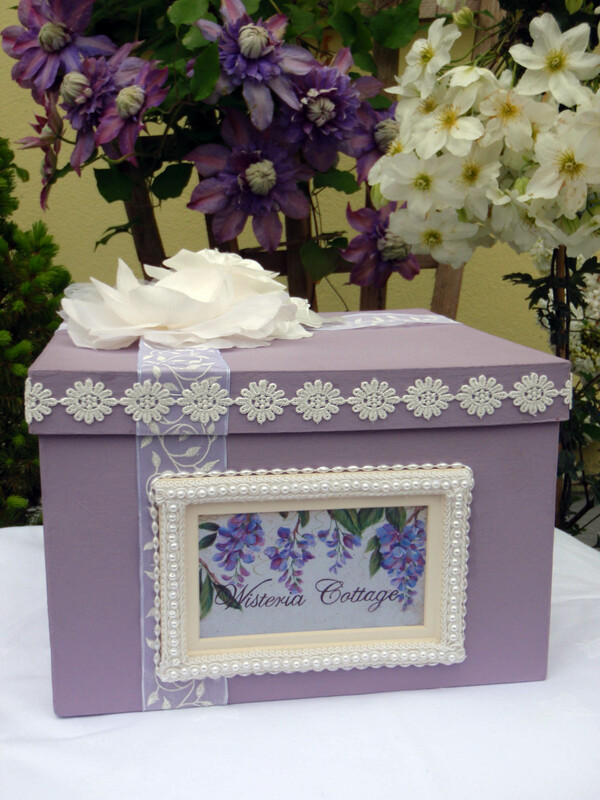 Wisteria Keepsake Box (inside lid). I read the post and was looking forward to seeing the photos, but I can’t – it says “access denied” 😦 It sounds gorgeous though. Crickey, I’d better get a usable pic up of it, post-haste. Let me know what you think of it, once you’ve had a look. I’ll see if I can get it up for you asap. Sorry for the delay, I had to take a dip in a cool bath as it’s now really hot here. As for the pic, I’m having a problem getting it up. I don’t know what’s going on, this has never happened to me before. Any suggestions? I asked another blogger to take a look and they could see the images, so I’m not so sure what’s happening, Sewchet. If you scroll down through my Posts, the box is on there, but the first image isn’t showing up. I’ll try to remedy that too. 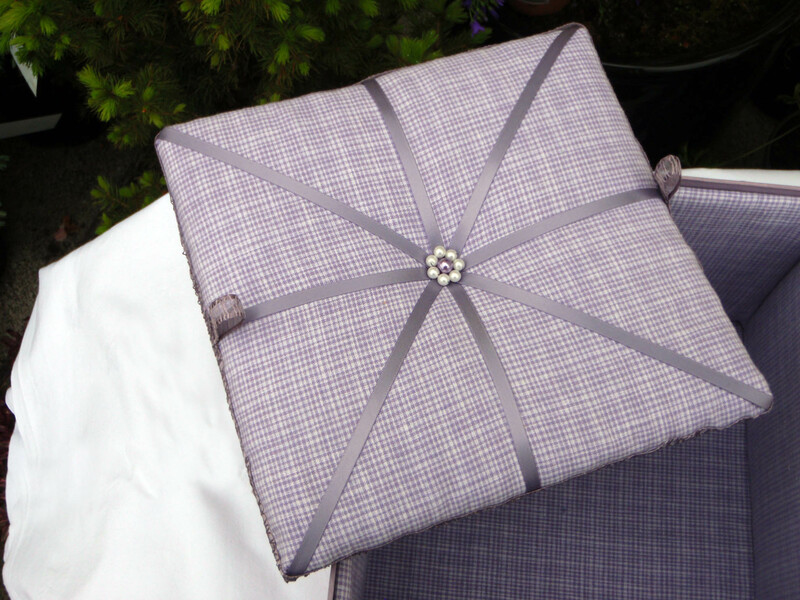 Hi Sewchet, I’ve reloaded all the Wisteria Keepsake Box photos. Let me know if they’re visible now, if you can, please? Yes! 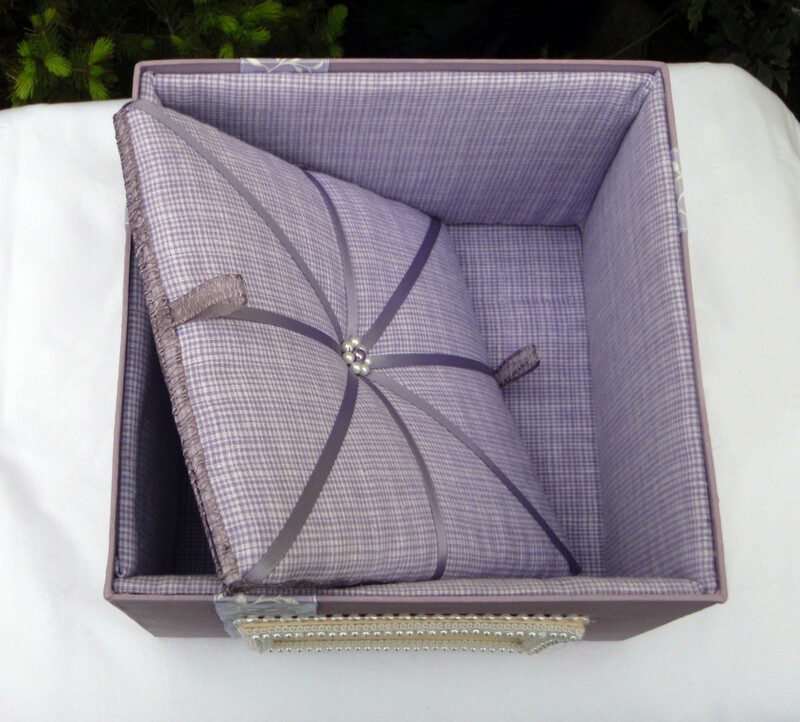 The lid is just lovely, the whole thing is so beautifully made! Thank you, sweetheart, and thank you for your support with my other posts, its very kind of you.